The Perfect V™ product series is pure pampering and caring for your “V”. The Perfect V™ is a luxurious skincare line which is made to renew, improve and beautify your “V”. It is PH balanced, dermatologically and gynecologically tested – pure beauty and of course parabens free. We ship to all parts of Denmark, if you do not have the opportunity to go to the clinic and pick up the products (Porto DKK 60,-). Pay by bank transfer or MobilePay. You are also always welcome to contact us regarding advisory of the products. 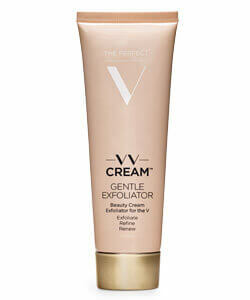 A perfect cream for your “V” which hydrates, smooths and melts into the skin. Leaving the skin soft, moist and radiant. The cream has soothing vitamins and is a perfect supplement after laser treatments. 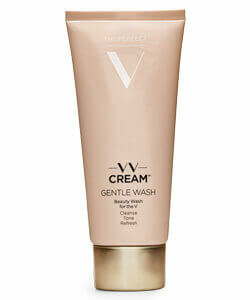 This product exfoliates and renews the delicate skin around your “V”. JoJo Oil enhances the skin’s restorative properties and helps post-inflammatory pigmentation. It gently repairs damages after hair removal. This gentle cleanser softens, moisturizes and hydrates the skin. The product perfectly works with the pH balance of the “V” area and it cleans and tones the area. The product fits greatly into your daily routine. The product melts into the skin around the “V” area and leaves the skin soft, moist and calm. The product delivers radiance to skin while improving the delicate skin’s texture. It is a must-have beauty item. 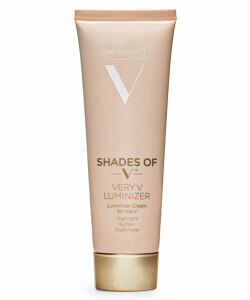 This product adds luminous heightened glow to the skin around your “V”. The product brightens, moisturizes and minimizes imperfections. It will help the “V” area look more youthful and fresh. 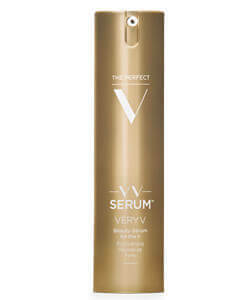 This serum rejuvenates, revitalizes and firms the skin around the “V” area. It leaves the skin soft and velvety. The skin will temporarily be tighten, toned and have a more youthful appearance. 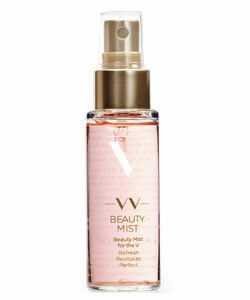 This spray refreshes, perfects and softens the skin around your “V”. It has a light, fresh natural scent of rose that neutralizes odor. The spray provides moisture and is antibacterial and pH neutral. These lovely beauty sheets refresh, spoil and clean your “V” gently. The sheets are multifunctional and perfect to have for the different purposes of the day. They are antibacterial and give moist. This Vanicure™ Essentials kit contains all you need for your daily beauty ritual for the “V”. Use the different products to spoil the area. The set consists of: Gentle Wash, Gentle Exfoliator and Very V Cream. This Vanicure™ Specialties kit contains all you need for your daily beauty ritual for the “V”. The set consists of: Very V Cream, Very V Luminizer, Very V Beauty Mist and Very V Beauty Sheets.